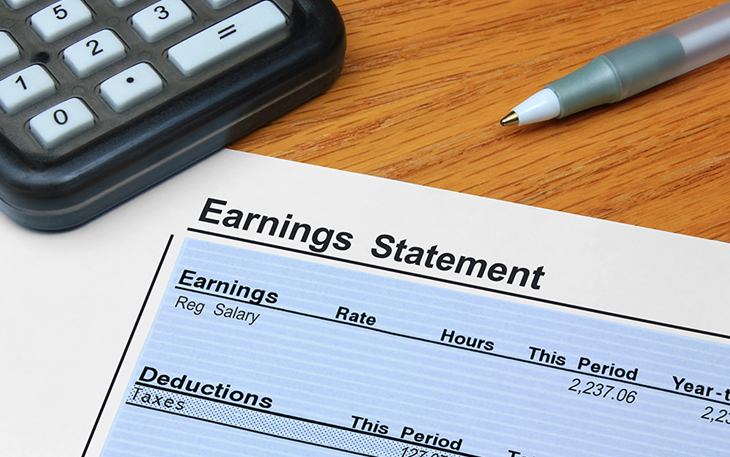 So many times we focus on one number when it comes to our paycheck: take-home pay. While the majority of us wish we could take home more, there’s a reason you see such a difference between your gross and net pay. Let’s take some time to look at what the total numbers are from the business’s side of the equation, before that net pay gets deposited to individual employee accounts. 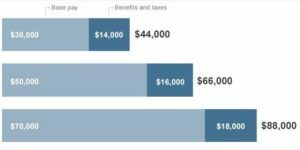 For 2017, the Social Security tax rate is 6.2 percent withholding each for the employer and employee of the first $127,200 of an employee’s annual wages. This is a total of 12.4 percent going toward the old age, survivors and disability insurance. In 2017, the employer’s portion of the Medicare tax is the same rate as the employee’s withholding which is 1.45 percent of each dollar of the employee’s annual wages. The Medicare tax has no limit. All income is taxable. This tax finances the hospital insurance. The Federal Unemployment Tax Act (FUTA) provides for payments of unemployment compensation to workers who have lost their jobs. Most employers pay both a federal and a state unemployment tax. In 2017 the FUTA tax rate is 6 percent. The tax applies to the first $7,000 of wages which is the federal wage base. Only the employer pays FUTA tax. State government determine the tax rate for each employer and the unemployment services. Employers cover all of the cost. The purpose of this insurance is to provide coverage for employees who are injured on the job. Worker compensation insurance rates are determined by the kind of business or industry, the type of job being performed and history of claims. Minnesota does not provide any waiver to any employers. All employers are legally required to provide insurance coverage to all their employees. Firms take different approaches for contributing towards family coverage. Among firms offering health benefits, 45% of small firms and 18% of large firms contribute the same dollar amount for single coverage as for family coverage. Forty-five percent of small firms and 67% of large firms make a larger dollar contribution for family coverage than for single coverage. ** According to the Bureau of Labor Statistics, in March 2016, the average cost for health insurance benefits was $2.44 per hour worked in private industry. Employer costs for health insurance benefits ranged from 89 cents per hour worked for service workers, to $3.81 for management, professional, and related occupations. Many companies pay their permanent employees for holidays such as New Year’s Day, Memorial Day, July 4th, Labor Day, Thanksgiving and Christmas. Most companies pay out 10 holidays per year to their employees. According to the Plan Sponsor Council of America, in 2016 company contributions average 4.7 percent of gross annual pay. So how much is the value of that paycheck? It typically ends up being 18 to 26 percent more than a worker’s base salary. It can be even higher for larger companies.